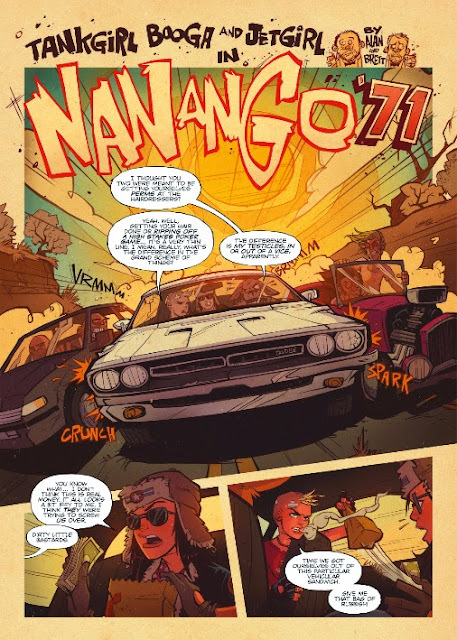 Titan Comics: Sneak Peek At 21ST CENTURY TANK GIRL #2 | Warped Factor - Words in the Key of Geek. 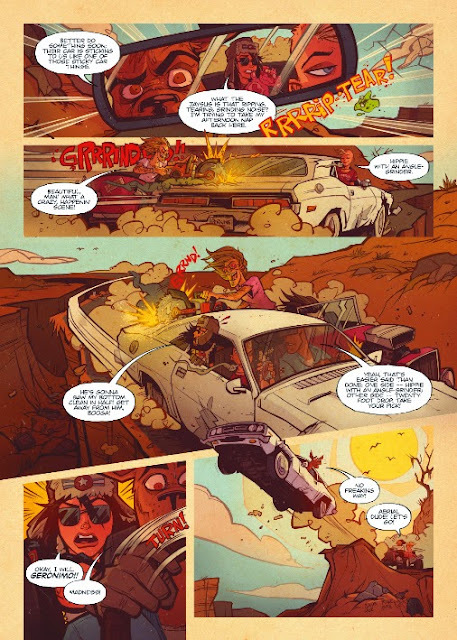 This July 8, Titan Comics brings you the second instalment of the hotly anticipated Tank Girl series, 21st Century Tank Girl! Bulging with spanking new strips, pin-ups, poems and plenty of riotous 100% original content from Jamie Hewlett, Alan Martin and a whole host of Tank Girl contributors - both old and new - get your head down, eyes open, and loins sufficiently girded for issue #2 of this scatter-brained new series! 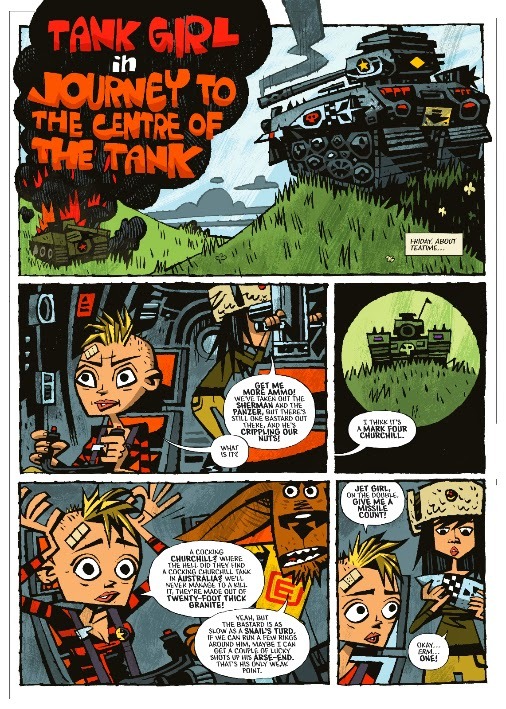 MAKE-WAY FOR THE TANK GIRL OF THE NEW MILLENIUM!